Spring Hill Eyecare, PLLC - Now Hiring! Spring Hill Eyecare is looking to add new full-time Rock Stars to our team!! We are a fast-paced, growing multi-doctor private practice optometry office that has been serving Spring Hill since 2005. We just recently moved into our new larger facility. We strive to have wonderful relationships with our patients. We value associates who have a passion for patient care and work well within a team environment. Prior experience is not necessary as we are willing to train someone with great customer service skills, an enthusiastic personality and the ability to learn quickly. Must be available to work Saturdays and some evenings until 7pm. See below for details on available positions. This position assists and educates patients with their selection of eyeglass frames, lenses, and lens enhancements. They are responsible for duties in the optical area, including placing orders, dispensing, repairs and adjustments for eyeglasses. This position also provides office support and assisting patients with appointments. Provide exceptional patient care by creating a patient service experience that is phenomenal for each and every patient. Assist and educate patients with the selection of frames, lenses, and lens enhancements based on the patient's prescription and specific needs as prescribed by the doctor. Process eyeglasses, which includes pricing to patients, measuring, collecting money, coding and documenting patient charts. Repairs and adjusts glasses while ensuring patient satisfaction. Helps assist patients with purchase of contact lenses and other products. Dispensing of eyewear to patients. Create patient orders and fee slips. Administer dilation drops and perform macular pigment optical density (MPOD) testing as needed. Ability to sell and service eyeglasses and products with a commitment to provide excellent customer service. Skill to problem solve and provide patient satisfaction while maintaining composure and offering appropriate assistance. Must be able to demonstrate the knowledge and skills necessary to provide care appropriate to the age of the patient served. Extremely efficient, organized and resourceful. Must be flexible and able to function well in a fast-paced environment with great interpersonal skills to deal with many personalities. Create a patient service experience that is phenomenal for each and every patient. Perform a variety of office administrative duties. Be available to work Saturdays and some evenings until 7pm. Sales and/or strong customer service experience. A caring and warm personality and be a team player. The ability to multi-task as your work will be interrupted frequently. Experience answering phones and routing calls (optometry or healthcare experience preferred, but not required). No visible tattoos or body piercings. Starting pay $11/hr. with no experience, but may be higher based on experience. Health insurance provided after 90 days. 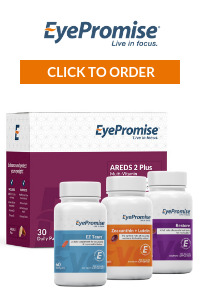 Vision benefits provided after 90 days. Dental insurance provided after 90 days. Short-term disability, long-term disability, and term-life insurance provided after 90 days. 401(k) available after 90 days. Interested candidates should only apply by sending BOTH your resume and a cover letter explaining in your own words why you would make an ideal candidate to info@springhilleyecare.com. This role assists the Optometrist with all types of exams and appointments to keep the office running smoothly and efficiently. This includes a variety of patient care tasks, including preparation of patients to be seen by the doctor, performance of diagnostic tests, and appropriate documentation. Optometric Technicians play a keep role in ensuring that our patients will have a rewarding experience that will keep them coming back and referring friends and family. Provide exceptional patient care clinically. Acquire medical history and chief complaint of patient, prepare patients’ charts, and ensure confidentiality of all records. Perform preliminary and special testing for the Optometrist. Assist patients with contact lens insertion and removal. This position typically provides the first and last in-person impressions with our patients. This position works with the staff and doctors to keep the office running smoothly and efficiently. This includes handling calls, scheduling exams, checking patients in and out verifying insurance, updating contact information at each visit, and assisting with referrals. Handle calls to the practice, including patient calls. Greet patients on a regular basis and provide excellent patient care; check patients in and out. Greet business associates and others who visit the office. Schedule patients' appointments; actively work to reschedule as openings are established. Acquire medical history and chief complaint of patient. Prepare patient chart and ensure confidentiality of all records. Update contact information at each visit. Maintain patient records in billing/scheduling systems. Perform simple bookkeeping such as collecting all patient balances and co-pays and post accurately. Assure reception and office area is clean, neat, and organized. Administrative duties for this position include faxing, copying, making phone calls, preparing patients' medical records, scanning, entering extensive data in the office's computer system. Starting pay $11/hr. with no experience but may be higher based on experience.